Craneflies can be found all over the world but are called Daddy Longlegs in the UK. Not by me, though. In other parts of the world they can be called Mosquito Eaters, or Skeeter Eaters, which is great! But completely inaccurate. They do look a bit like mosquitoes though, with their thin bodies and long legs. Some of them are even about the same size since they range between 2 millimetres and 10 centimetres in length. I'm actually a little bit frightened of them even though I know they're completely harmless (hint hint). Being big tends to be a good reason for being scared of stuff, but the other reason seems to be that they're a bit rubbish at flying. Other flies are a blur as they zoom about, but you can really see how a big Cranefly is holding its legs up as it lumbers along in the air. You can also see the distinguishing feature that makes them a true fly. They have just one pair of wings, the other has become a pair of dumbbells called halteres that are used to maintain stability in flight. Are they terribly venomous but lack the means to deliver? NO! The idea of Craneflies being venomous is utterly absurd. Is there any venomous fly? I can't think of one currently at the moment as I sit here right now (EDIT: Robber Fly!). 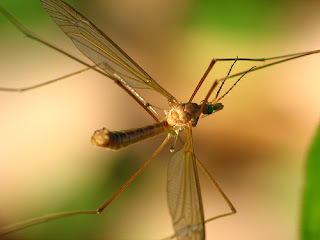 Adult Craneflies eat nectar or nothing, and they certainly can't bite at all. It seems to me that this particular myth came from a mix-up over what kind of "Daddy Longlegs" was being referred to. Let's move on to one of those. Harvestmen are arachnids that look somewhat like spiders, but they're actually quite different. If you think back to all the spiders you've ever seen you will remember that they're split into two distinct parts: the cephalothorax and the abdomen. 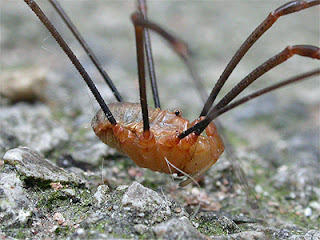 Harvestmen, on the other hand, look like one, round body with eyes. 2 eyes, whereas spiders have 6 or 8. Harvestmen use their second pair of legs as antennae to compensate, and they are particularly long to help accomplish this. The other legs tend to be pretty long, too. Their body is about 2 centimetres long at most, but leg span can reach more like 16 cm! Some don't have particularly long legs at all, although they're still very thin. Aside from not making webs or silk of any kind, there's one other difference between Harvestmen and spiders. Are they horrifically venomous but lack the means to deliver? NO! No Harvestman has been found with any venom of any sort. They also don't have fangs like spiders do, they have little pincers instead. Unlike other arachnids, they are capable of consuming solids rather than just liquids. Some of them are even omnivorous, eating plants, fungi and various droppings, technically known in these parts as "poo". Surely that's besmirchment enough, no need for more. Are they brutally venomous but lack the means to deliver? Yeeeeee... NO! Cellar Spider fangs actually CAN penetrate human skin, it's just that the venom isn't all that potent. Remember the (occasionally but almost never, if we're being honest) deadly Redback Spider? In Australia, Cellar Spiders eat them. Those long legs enable the Cellar Spider to keep their distance as they smother dangerous prey in silk. 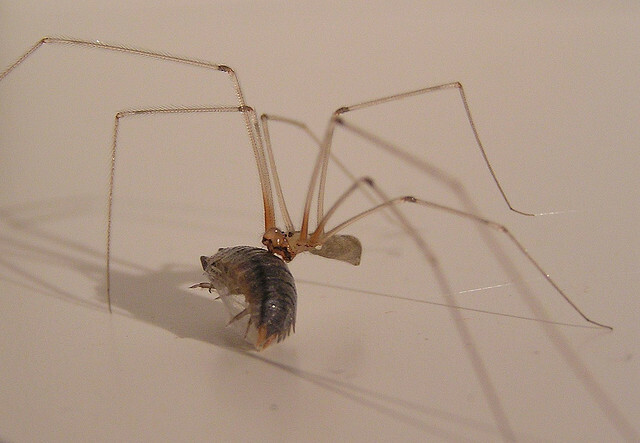 It seems to me that the idea of Daddy Longlegs being lethally venomous came from the fact that the Cellar Spider is capable of killing spiders that can, at least sometimes, kill humans. But venomous animals aren't necessarily immune to other venomous animals, and certainly not simply because their venom is even more dangerous to humans. Regardless of that, the Cellar Spider is probably just good at not getting bitten. I'm pretty good at that, too. It's a policy that has served me well and I recommend it. This Daddy Longlegs confusion is very interesting. 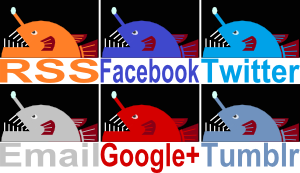 From the UK to North America and Australia, it has swept the English speaking world like some Bermuda triangle of befuddlement. It shows what happens when people don't agree on exactly what a name is referring to. Calling them Tipulidae (Cranefly family), Opiliones (Harvestman order) and Pholcus phalangioides (Cellar Spider species) is not quite as fun, but at least you know what you're talking about. Or you will if everyone knows those words, what they refer to and what you're talking about. Hmm... it's not easy, is it? Circus of the Spineless #62 hosted at Squid a Day. I have a few cellar spiders hanging around my place. I tend to leave them alone so they can run pest control for me, but sometimes they get a bit too smart for their own good (like when they decide to hide in my shower where there's lots of water to drink). Did you know that when startled, a cellar spider will sometimes grab its web and start swinging back and forth violently? Supposedly it's to frighten potential threats or to further entangle prey. I once saw one sitting on a wall and it very carefully put just the very tip of one of its legs in its mouth, presumably to clean it. I can't imagine what it'd be like to have that kind of precision with a limb a ten times the length of my entire body. I knew about the violent shaking and swinging, yeh. I only recently found out it was supposed to be some kind of defensive thing. I guess I hadn't thought of that since it would be so utterly ineffective against the likes of me. As for those long legs: yeh, that kind of stuff is amazing. They would probably say the same about the amazing control we have over our fingers! Do Cellar Spiders actually drink water? They may well do! If they have enough food they could probably get all the water they need from prey. Otherwise I suspect they'd have to find some water to top up. Harvest spiders scare the poo out of me. As a kid, I was on a hike with girlscouts; I saw a rotting log that looked like a tangled mass of hair. So naturally, I poke it with a stick, and thousands of spiders came running towards me, screaming threats and wielding switchblades. Ok, maybe I exaggerated on the last bit, but it was genuinely terrifying. Now I squish them when I see them--it may be terribly unfair of me, but they've offended me to my deepest core, and I just can't let go of that. Nice article though! Thanks for showing me the difference between harvest and cellar, cuz I always got confused!! Wow! That really sounds scary! I've seen them fairly large numbers before but not all together so they looked like a big tangle. Yikes! I guess that kind of trauma can make your serial killing a little more forgiveable.